Hormones play a very important role in your body. They act like messengers, sending signals so your entire body functions properly. 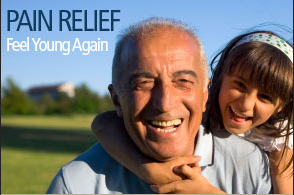 According to research, they also help treat certain chronic pain conditions. It’s a common misconception that only males have testosterone. Although males certainly have more of it, the reality is that both men and women actually need sufficient testosterone levels in order to function properly. Testosterone is needed not only for the obvious reasons such as sexual function and libido, but also for muscle mass and bone maintenance, healing, the growth of cells, and many other functions. Testosterone also helps prevent osteoporosis and has a direct impact on energy levels and stamina, all of which are important to both sexes. Testosterone plays a significant role in controlling pain, because it’s largely involved in the natural opioid activity of your body. It helps in keeping opioid receptors functioning properly. Natural opioids, also known as endogenous opioids—like endorphins—are essential for pain control. Therefore, individuals with low testosterone levels tend to experience more pain and have a lower tolerance for pain than those whose testosterone levels are fine. Aside from poor pain control, patients with low testosterone levels may also suffer from low energy, poor motivation, sleep disturbances, and depression, all of which can also affect the way your body feels and responds to pain. It has long been known that menopause brings with it all kinds of aches and pains as well as an increase in the risk of osteoporosis. What many don’t realize is that the pain and inflammation of those pains are the result of an imbalance of estrogen to progesterone. Though common in premenopausal and postmenopausal women, an imbalance of these hormones can happen in anyone and the effects as far as pain goes are often similar. Once your Phoenix injury doctor evaluates your condition and confirms a hormone deficiency or imbalance, then hormone replacement therapy may be recommended as a treatment option. For those individuals undergoing injury treatment under a workers compensation claim, opioid management may lead to a hormone imbalance. This can make pain even worse. 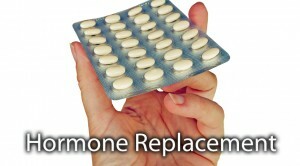 For the long term treatment, hormone replacement can be extremely helpful to help with pain control and other symptoms that may have resulted from the hormone imbalance.